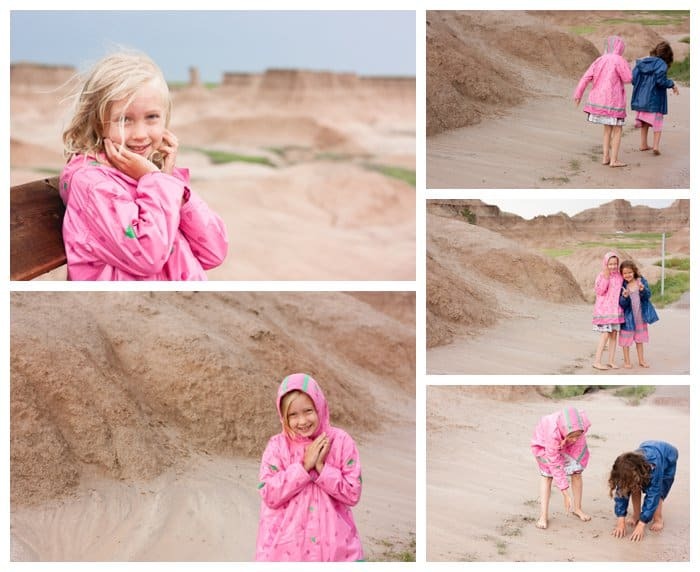 A huge summer storm has just swept through the Badlands. The dynamic landscape melts onto the walkways. Then I remember my girls need a lifetime of yes moments. Pop on over and watch the 15 second Instagram video of our mud adventure. One mom quietly shakes her head as she passes. Her son looks at our girls. Then he looks up at her, his eyes full of hope. The girls mosey on over to the clear puddle and rinse their tootsies clean. I fidget as I carry the girls’ shoes to the car. I feel the burn of the other parents staring at us. Then I hear my girls laugh and… I smile. 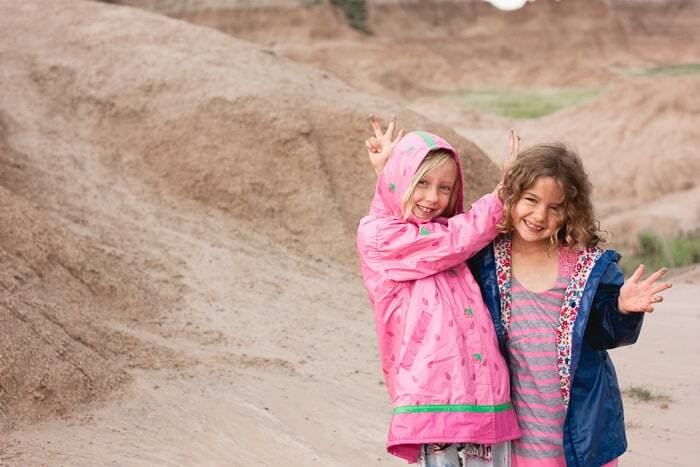 PS: I let my kids play in the mud, swim in their clothes, and eat dessert with dinner (not after veggies). I see the utter frustration this can causes other parents, friends and strangers alike. How do YOU resolve uncomfortable social situations as a “yes” mom? I love love love this post in every way. Beautiful sentiment matched only by your beautiful photos. Such gorgeous captures of your two precious little ones. The colors and the texture of that sand make me want to whip my own shoes off and go running & squooshing!